Paul Joseph Jordon was born in Carlton Scroop c1875. He worked as a hedge cutter and married Annie Eliza Cant c1897. Their first son, Joseph Sidney was born in Carlton Scroop c1897 but by 1901 the family were living in South Rauceby (where Paul’s mother came from). Around 1904 they moved to Country Durham and by 1911 they had 4 more sons and were living in the Mill Cottages, Rushyford, near Ferryhill. By then Joseph Sidney was 14 and working as a screener (above ground) at a coal mine. 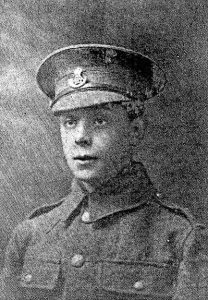 During the Great War Joseph Sidney Jordan joined the Durham Light Infantry at Ferryhill but was later transferred to the Sherwood Foresters (Notts & Derbys) during the Great War. He was serving with 7th Battalion but attached to 178th Trench Mortar Battery when he was killed in action on 17th Apr 1918. He was 21. 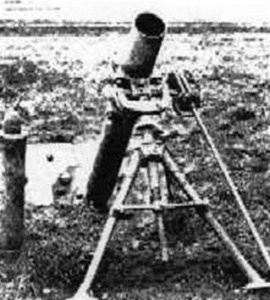 The battery, which operated the 3-inch stokes mortar, were part of an operation to pursue the Germany army as it withdrew east from the Somme. He has no know grave but is listed on the Ploegsteert Memorial as well as the Carlton Scroop war memorial. His father, Paul Joseph Jordan, stayed in Mill Cottages, Rushyford until his death in 1965.